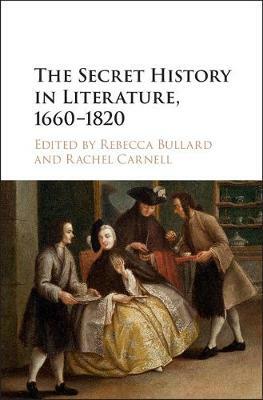 Secret history, with its claim to expose secrets of state and the sexual intrigues of monarchs and ministers, alarmed and thrilled readers across Europe and America from the mid-seventeenth to the mid-nineteenth century. Scholars have recognised for some time the important position that the genre occupies within the literary and political culture of the Enlightenment. Of interest to students of British, French and American literature, as well as political and intellectual history, this new volume of essays demonstrates for the first time the extent of secret history's interaction with different literary traditions, including epic poetry, Restoration drama, periodicals, and slave narratives. It reveals secret history's impact on authors, readers, and the book trade in England, France, and America throughout the long eighteenth century. In doing so, it offers a case study for approaching questions of genre at moments when political and cultural shifts put strain on traditional generic categories.